I hate it when people treat a ‘feel-good film’ as something that can’t be taken seriously. 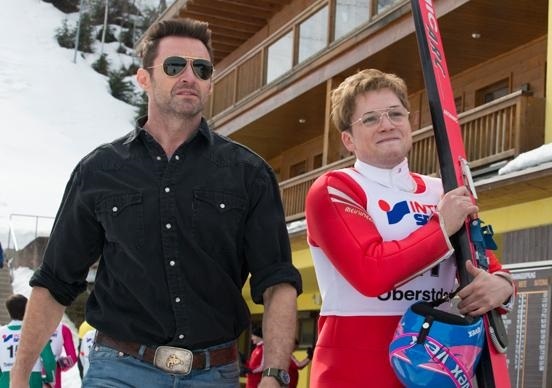 Granted, that’s sort of the way I went to watch Eddie the Eagle. But like Eddie himself, this movie is not fooling around, and it’s there to be taken seriously indeed. If you know about the life story of Eddie Edwards, you already know that his is a story of self-improvement, of overcoming obstacles that others put in his way. And that is exactly the main theme of this movie. We see Eddie’s life since he was a kid, with an unsupportive father who didn’t help to the fact that Eddie wasn’t exactly an athletic boy to begin with, but that doesn’t stop him. He grows up and proves everyone wrong. Granted, he is not going to win any gold medals, but for him is enough simply to get to the Olympics and participate. His is the opposite story of his sort-of-coach Bronson, a man who had the skills but didn’t put his heart into it. It is a self-discovery journey for both of them, in which they teach each other valuable lessons and forge an unlikely friendship. Now, here’s why I don’t like it when a movie is branded a ‘feel-good’ one: the film itself is overlooked. But you know what? I found the script brilliant. There were pieces of dialogue that hit home, and taught me that nothing is impossible and that your dreams are your own, and no one can stop you from at least trying to achieve them. And the acting. 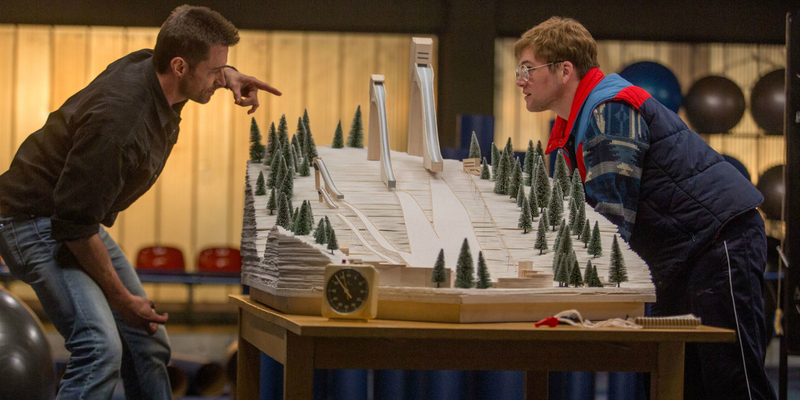 Not only do Taron Egerton and Hugh Jackman display great chemistry, they deliver great performances. Jackman is superb in his role as a man who cares about nothing but himself but deep down has a big heart, and Egerton shines as Edwards. Just the facial gestures were enough to transform himself into his character –one couldn’t possibly see him and think he was the boy from Kingsman – but then you see his movements, his voice… I found it astonishing. It is a shame that his performance won’t be more worldwide recognised just because this is a ‘happy’ film. That being said, the movie fulfilled its task: it made me feel good. I found myself with a grin on my face from start to finish, no exception. really liked your review, it sounds like a very good film and I will have to try and check it out at some point.